Here is some general information about employment at WCCCA and Washington County. 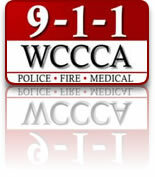 WCCCA is the second largest 9-1-1 center in Oregon. We are a creative, innovative center that takes pride in customer service and high quality work. We are a stand-alone unit of local government comprised of 92 employees, 63 of which are dedicated 9-1-1 dispatchers. The Operations Department is overseen by the Operations Manager and is comprised of 63 Calltakers/Dispatchers and 6 Operations Supervisors. Washington County, Oregon is a developing community with a population of 562,998 (2014 US Census) located within the Portland metropolitan area. The largest cities in the County are Beaverton and Hillsboro. With easy access to mountains, rivers and ocean beaches, the region offers abundant recreational and cultural opportunities. The livability is high and the cost of living is medium. Check out www.co.washington.or.us for more information. WCCCA Call Takers and Dispatchers wages range from $21.90 - $34.89/hour. We offer excellent medical, dental and vision plans through Blue Cross/Blue Shield, Kaiser, Delta Dental/ODS, Willamette Dental and VSP vision care. This program provides strictly confidential counseling (in-person or e-support) and referral services for all benefit eligible employees and their family members enrolled on their insurance plan. These voluntary plans are designed to provide you with tax savings on certain health care and dependent care expenses. WCCCA provides a specified amount of Life Insurance and Accidental Death and Dismemberment insurance to you, your spouse and dependent children. You can also choose to add more coverage for yourself, your spouse and your dependents at your cost. Coverages provided by CIGNA and through optional AFLAC coverage. This is a State of Oregon Public Employee Retirement System (PERS) covered position. You will be enrolled in the PERS program automatically after fulfilling the required waiting period. Most PERS eligible employees pay a 6% employee contribution, however; WCCCA “picks up” this 6% employee contribution for its PERS eligible employees. If you are a benefit-eligible employee, you are invited to participate in the 457 Deferred Compensation Plan. This voluntary program allows you to save money and defer taxes until you take a distribution at retirement. If enrolled in this plan, WCCCA will match 1% of your gross wages after a six-month waiting period. WCCCA contributes monthly into a VEBA Trust Account for benefit eligible employees. The VEBA account can be used for reimbursement of medical expenses or for purchasing insurance during retirement. WCCCA offers generous paid time off benefits such as vacation time, holiday leave and sick leave. WCCCA offers bilingual incentive pay for authorized secondary languages. What kind of educational background and previous job experience should I have to work at WCCCA? What are the hiring qualifications required to work at WCCCA? *Applicants with a felony conviction will not be considered for the position. **Applicants who fail a drug screening, which includes screening for marijuana, will not move forward in the process. Am I expected to know about dispatch equipment? No, WCCCA has a comprehensive training program, during which you will become familiar with the dispatch equipment and develop a working knowledge of the systems. How long is your training program? The initial training for a new hire will last anywhere between 9-12 months. At WCCCA we understand that people have a variety of learning styles and not everyone progresses in their training at the same speed. Not only do we want our employees to be successful in their initial training here at WCCCA, we want our career employees to continue their successes. The state of Oregon requires 16 hours a year for continued education training for dispatchers, however WCCCA employees typically receive 30 hours or more of continued education training yearly. What shift can I expect to work? Since we operate 24 hours a day, 7 days a week, 365 days a year, it is necessary to have a variety of day, swing, and nightshifts. While in training you will experience various shift hours and days off as you will work with several coaches while in training. WCCCA doesn’t have shifts that vary from week to week – while you are on a shift, you will work a set 4/10 schedule. Once you successfully complete our training program, you will be eligible to select a shift. Shifts are selected via a seniority based bidding process which is done once a year. During the bidding process, dispatchers select two 6-month shifts for the year. Shift rotations occur in April and October. Currently, our first dayshift begins at 04:00 and our last nightshift begins at 22:00. Employees work 10 hour shifts for a 40 hour work week and have 3 consecutive days off. There is also opportunity for employees to work overtime during their work week or on their scheduled day off. Due to the nature of our work and being open 24/7/365, we do work all holidays and often employees must make the sacrifice to miss out on family functions, events with friends, birthdays, etc. This is something to consider when applying. What skills should I have to be a 9-1-1 dispatcher? Ability to type quickly - at least 55 WPM is preferred, although 45 WPM is the minimum. The faster someone can type, the easier this job will be. Ability to multi-task, including split ear listening, which is listening to two different things at once – such as a radio in one ear and a phone in the other. Ability to be professional and maintain a level head, under pressure, at all times. Ability to work and thrive in a team environment. Ability to maintain confidentiality and be trustworthy. When can I apply for a job? WCCCA recruits for dispatches when we have the need - this is typicall 1-3 times a year. If you are interested in applying, please let us know and we’ll keep your information on file and advise you when our next recruitment is taking place. You can do this now by filling out an interest card (click here to follow the link). WCCCA is an Equal Opportunity employer. Only U.S. Citizens and aliens lawfully authorized to work in the United States will be hired. All new employees will be required to complete and sign an Employment Eligibility Verification Form and present documentation verifying identity and employment eligibility.